Voting is closed. 6168 users have voted. BITalino is a low-cost hardware and open-source software toolkit to learn and prototype biomedical applications. 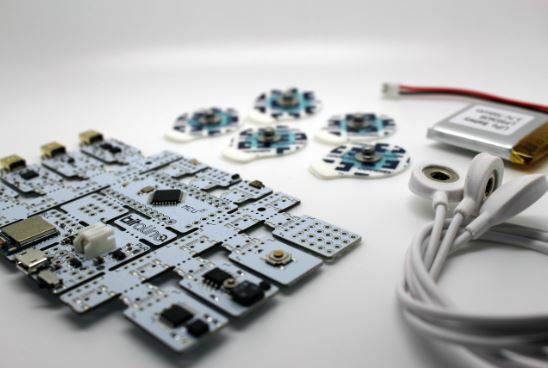 It has been primarily designed for students, teachers, makers, artists, researchers and corporate R&D, with no electrical skills being required. Although only recently launched, it has already been adopted by thousands of users worldwide, including leading academia and industry, and it is contributing to pave the way for a number of other BITalino-powered innovations. PLUX is a Portugese SME creating innovative products for healthcare and research, by developing advanced biosignal monitoring platforms that integrate wearable biosignal sensors. These are combined with wireless connectivity and user-friendly software applications that deliver real value recognized by our users. We have a significant track record in the creation of added-value products, examples of which include novel technologies for physical rehabilitation (http://www.physioplux.com) and ergonomics (http://www.ergoplux.com). Our latest success case is BITalino, developed with EU support, that currently has 4000+ users scattered across more than 40 countries worldwide. In the scope of EU-funded RAPID-MIX project we developed BITalino (r)evolution, an innovative low-cost toolkit for rapid prototyping of wearable devices and biomedical signal acquisition. The aim is to improve the overall user experience concerning the access to - and ease-of-use of - biomedical technologies, enabling their adoption in new application domains, namely those pertaining to creative industries. This work is currently at TRL 9, comprising wireless hardware, multi-platform software, programming APIs, post-processing algorithms, cloud connectivity, and many others. BITalino is already being commercialized, with a growing and vibrant community. We setup an online store which is currently the primary sales channel and our commercial plans are to build a global reseller network. The first cases of OEM licensing are appearing, with integration partners developing their own “BITalino inside” products. Furthermore, the company is benefiting from the increased publicity in the form of cross-sales and up-sales from BITalino to services and to our higher-end biosignalsplux line. This work would not have been possible without support from the EU's Framework Programme. It provided us with the required resources as well as access to world-leading partners with whom to develop the innovation. Within RAPID-MIX there was a strong focus on user-centred design, which enabled us to be much more effective in the pursuit of our goals. Furthermore, the collaboration with other consortium members have made it possible to greatly expand BITalino, namely with advanced motion sensing, WiFi connectivity and cloud-based facilities.